Why don't prosecutors get disciplined? In most jurisdictions, district attorneys who break the rules are rarely held accountable. "He may prosecute with earnestness and vigor — indeed, he should do so. But, while he may strike hard blows, he is not at liberty to strike foul ones. It is as much his duty to refrain from improper methods calculated to produce a wrongful conviction as it is to use every legitimate means to bring about a just one." But when prosecutors strike foul blows — and we know that they do — they rarely face any consequences. This is true even for documented misconduct that takes place inside the courtroom and for repeat offenders. A 2003 report by the Center for Public Integrity identified 2,012 cases across the United States since 1970 in which a judge reversed a conviction, reduced a sentence or dismissed charges at least in part because of prosecutorial misconduct. The investigation found that only 44 cases of misconduct resulted in any kind of disciplinary review of the prosecutor. Moreover, it seems that few states separately document complaints against prosecutors. APM Reports sent a questionnaire to the lawyer discipline agencies in all 50 states. Of the 15 states that responded, only three tracked the number of prosecutors who had been the subject of complaints or investigations. 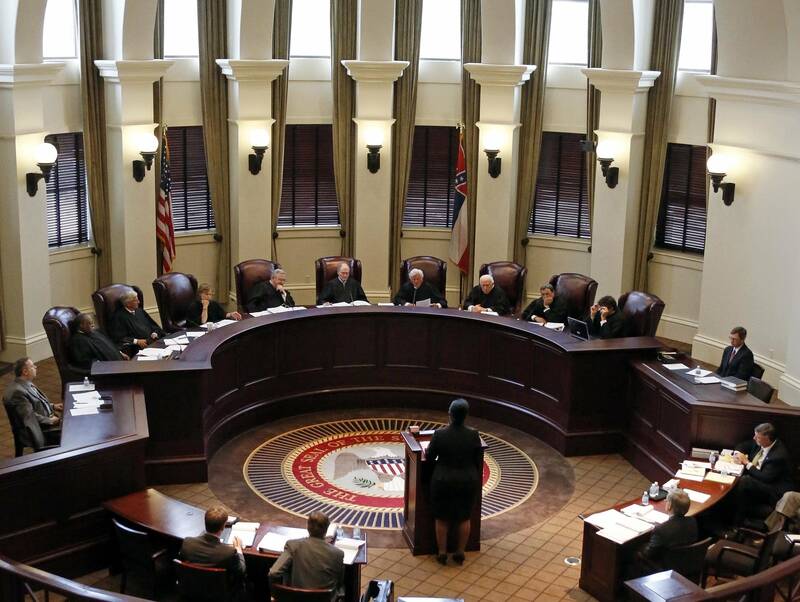 Last year in Mississippi, 516 bar complaints were filed against attorneys, most of whom work in one- to two-person practices doing everyday litigation — divorces, estates, personal injury, criminal defense. The vast majority of complaints were filed by the lawyers' own clients, who said that their calls hadn't been returned, their cases had languished, or their money had been stolen. The Mississippi Bar doesn't separately track complaints filed against prosecutors, but the association's general counsel, Adam Kilgore, said none of the 516 complaints last year resulted in the disciplining of a prosecutor. Why don't prosecutors face consequences for misconduct? Most district attorneys are elected, so in theory the public can hold them accountable at the polls. But in practice, they almost never lose their seats, and in Mississippi, as in many other states, they can't be recalled by voter referendum. A 2009 Wake Forest University study of 10 states found that 85 percent of incumbent district attorneys ran unopposed and, in the few races that were contested, incumbents won nearly 70 percent of the time. In Doug Evans' 26 years as district attorney in Mississippi's Fifth Circuit Court District, he's faced only one challenger. Prosecutors are also afforded unique legal protections. They have immunity from civil liability — you can't sue them — and it's almost unheard of for a prosecutor to face criminal penalties for something he or she did in court, like knowingly putting a lying witness on the stand or withholding evidence that points away from a defendant's guilt. They do have to follow the same professional code of conduct as other lawyers, and if they don't — this is where the bar association or ethics panel comes in — they can be reprimanded, suspended or disbarred. But the disciplinary code is vague. It broadly requires attorneys to practice competently, ethically and lawfully. "In some cases, the lawyer discipline rule is weaker than the constitutional standard, which is kind of unbelievable if you think about it," said David Lebowitz, a civil rights lawyer who co-authored a 2011 Yale Law Journal study on prosecutorial accountability. "There should never really be a situation where the rules of professional conduct allow prosecutors to violate the constitution." Like the Center for Public Integrity, Lebowitz found that the number of prosecutors disciplined is far smaller than the number of convictions overturned for prosecutorial misconduct. "There's this idea that having the conviction overturned or reversed or thrown out or vacated is sort of punishment enough," Lebowitz said. "That it is, in and of itself, sufficient deterrence." 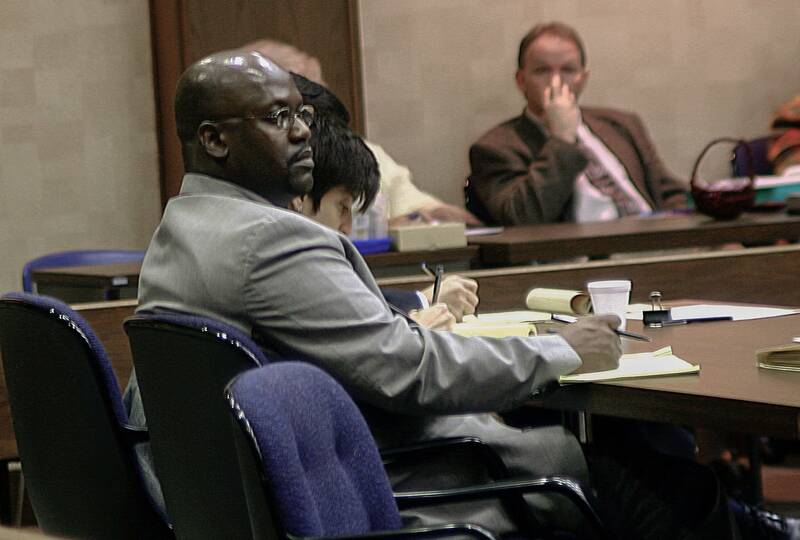 It wasn't sufficient deterrence in the case of Curtis Flowers, who was convicted of murdering four people at Tardy Furniture in 1996. The Mississippi Supreme Court reversed Flowers' first and second convictions due to misbehavior by Evans, including arguing facts that weren't in evidence. Yet when Evans tried Flowers a third time, the high court found that he engaged in misconduct again. In overturning Flowers' third conviction, the justices ruled that the prosecution had struck prospective jurors based on their race — what's known as a Batson violation, named after the 1986 U.S. Supreme Court ruling that banned the practice. In their ruling, the state Supreme Court justices wrote that Flowers' case "presents us with as strong a prima facie case of racial discrimination as we have ever seen in the context of a Batson challenge." Despite those rulings, Evans went on to prosecute Flowers three more times. He has never received any public discipline from The Mississippi Bar. Kilgore, of The Mississippi Bar, said that a lawyer who's found to have engaged in intentional and unconstitutional racial discrimination in jury selection — a Batson violation — would not necessarily face any form of professional discipline. "There is not an automatic trigger mechanism along that line. I think the only automatic triggers out there would probably exist along the lines of if a lawyer is convicted of a felony," Kilgore said. "I would take a look at it and look at the rules of professional conduct and see if there was possible proof of an ethics violation." Kilgore described the bar's work as mostly policing lawyers' conduct outside of the courtroom, often involving bad business practices. In his 14 years as the bar's general counsel, he can't remember seeing any complaints filed in connection with a Batson violation. Kilgore said the bar typically doesn't get involved in what he broadly called bad trial strategy. "The court has the ability to reverse matters and remand [on appeal] or reverse and handle it other ways. And so, concerns like [Batson] would probably fall back on the court," he said. 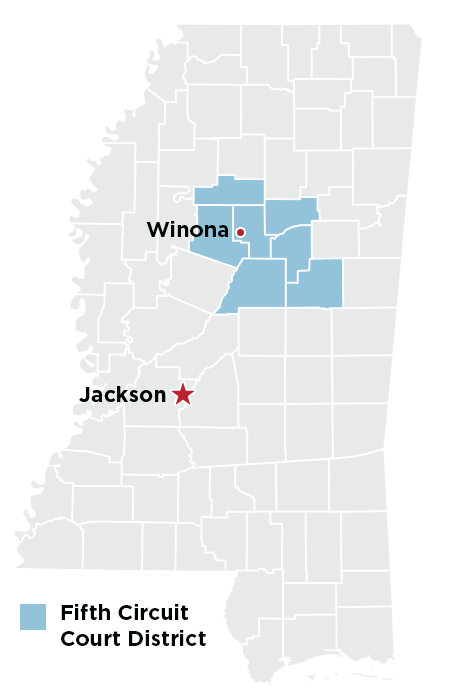 The Mississippi Bar isn't alone in this approach to Batson violations. None of the 15 disciplinary agencies that replied to APM Reports' survey had any record of a Batson violation leading to a bar complaint. The remedy is supposed to be an appeals court reversing the conviction. 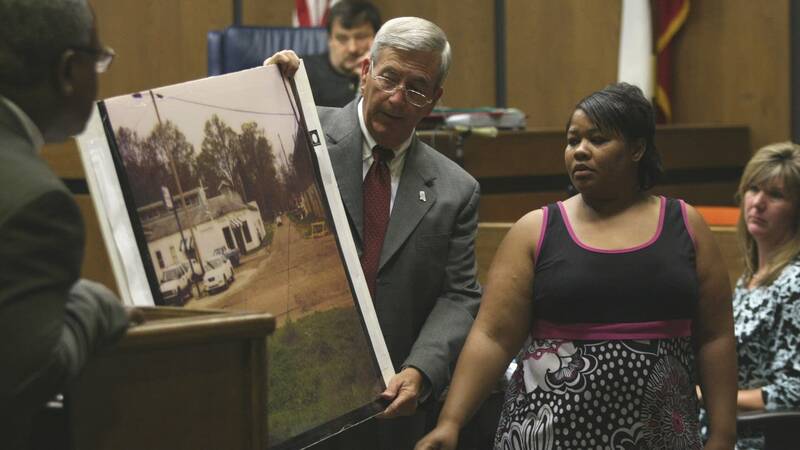 RELATED What happens now with Curtis Flowers' case? But even a conviction reversal isn't guaranteed in cases where prosecutorial misconduct is found. The misconduct must be so egregious that it affected the outcome of the trial. "Most of these cases that involve misconduct don't get reversed because the evidence of guilt is strong. And if that's your test — whether the evidence of guilt is strong, so the prosecutor can do anything he wants — you're throwing the constitution out the window," said Thomas Sullivan, a former U.S. attorney in Illinois and co-author of a 2015 study on failures in prosecutorial discipline. The misconduct in cases where the defendant is clearly guilty are typically viewed in the legal community as "harmless errors." But they may not be so harmless. "What harmless error cases do is they become incubators for misconduct," said Maurice Possley, a former investigative reporter with the Chicago Tribune who's now a University of Michigan law researcher and who co-authored the study with Sullivan. "As long as there's a strong likelihood that what you do is going to be considered harmless error, there's absolutely no consequence at all." Sullivan said lots of people are in a position to flag prosecutorial misconduct — the assistant prosecutors, defense attorneys, lower court judges and appeals court judges — basically anyone who is in the courtroom or reviews a case. According to the professional code of conduct, they're all required to report concerns about another lawyer's "honesty, trustworthiness or fitness" and they easily could. But there are often powerful disincentives to file complaints against a district attorney. Judges and lawyers may not report them out of a fear of retribution. For criminal defense attorneys, antagonizing the local prosecutor could lead to worse outcomes for their clients. "There are various places where the tripwires should kick in," Sullivan said. "There's a whole raft of organizations and people who are not doing their jobs to bring these people to account." Since lawyers usually don't file complaints, it's mostly their perturbed clients who do. And since prosecutors don't have clients in the traditional sense — they represent "the people" — this backstop fails. For a layperson, the process of filing a bar complaint can also be confusing. In Mississippi, the bar association doesn't post the complaint form online. It must be requested by phone or email. Of complaints filed last year, 83 percent were dismissed without any investigation. Bar complaints that don't result in discipline are kept confidential and destroyed after 18 months. Complaints that do result in more serious types of discipline — private reprimand, public reprimand, suspension or disbarment — are published only in Mississippi Lawyer, a small-circulation trade magazine with no website. Private reprimands are mentioned without naming the lawyer involved. The Mississippi Bar doesn't keep a searchable, online database. "That is a very lawyer-centered approach to lawyer discipline," said University of Connecticut law professor Leslie Levin, who has researched secrecy in lawyer discipline. "The public should be able to figure out if somebody has been the subject of public discipline without having to figure out how to reach the right authorities." Back issues of Mississippi Lawyer indicate that in the past seven years, 37 of the state's roughly 11,000 attorneys have been disbarred or "irrevocably resigned," 25 have been suspended, 33 have been publicly reprimanded and 41 have been privately reprimanded. In that time period, only two prosecutors were disciplined — a city prosecutor who had missed nine important filing deadlines and an assistant district attorney who was taking payments from criminal defendants in exchange for special treatment. According to Levin, secrecy undermines both the fairness and effectiveness of discipline. More openness in hearings and sanctions would deter other lawyers' bad behavior and restore public faith in the system. With so little available information about who's committed what kind of rule violation, it's often impossible to know which attorneys are repeat offenders deserving of more scrutiny. "If it's not possible to learn that there might be a problem about a lawyer, that lawyer can continue to represent people and do bad things," Levin said. If that lawyer is a prosecutor, those bad things can include wrongfully sending people to prison. And the voters may be none the wiser. Curtis Gilbert contributed reporting to this story.